In the digital era where we're always connected via social media, email and texting, it just makes sense to have some sort of convenient solution for finding out about local events. Luckily for use, nowadays we can find many different apps especially created to keep us informed about events and parties in our surroundings. Because of that, we searched and we have on great app that can help you easily find the best events nearby. Let’s see what the app offers you. This community based event sharing platform is created as an app and developed on android platform, especially for users that want to easily and quickly discover, share and explore different social events in their favorite places. Using this helpful and effortless app, allows users to view every event as the details about the events like reviews, ratings, pictures and more, getting a simple guide for their next adventure. With the help of this app, users can easily bring more traffic to their own events with sharing deals for their businesses. Very easy to use, the app allows users to find the greatest events nearby. The Kompass Events is especially created for businesses that want to promote themselves and communicate for their latest deals, for event promoters that need to spread the word of upcoming parties, concerts and festivals, for casual event goers and travelers that need to easily find the best places for visiting. 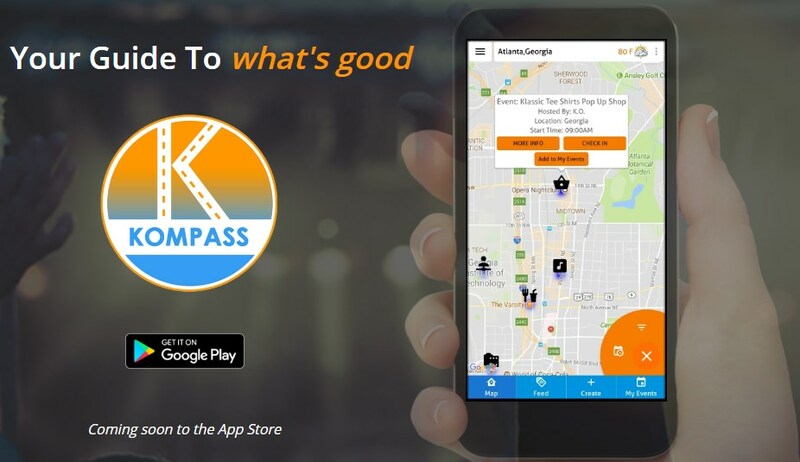 With the help of this app, users can discover and explore events and places easily, just with using the Kompass map. On the app, users can check in every time they attend an event. On the app, users can easily promote the event they’re hosting and use the app’s map to share their event or their sales, restaurant events, nightlife, arts or to just import their Facebook event on the app. The app allows users to follow friends on the app. The app’s event feed is offering users to always be informed about the events they are hosting or attending. Because the app is partnered with Lyft and Uber, all users can use the app’s navigation area to find the easiest and safest way to reach the events they like. Users with the help of the app, can find the best events nearby and never again miss another great party.